Chalte Chalte Yun Hi Koi Mil Gaya complete song Lyrics with English Translation and Real Meaning explanation from upcoming Bollywood movie Mitron. 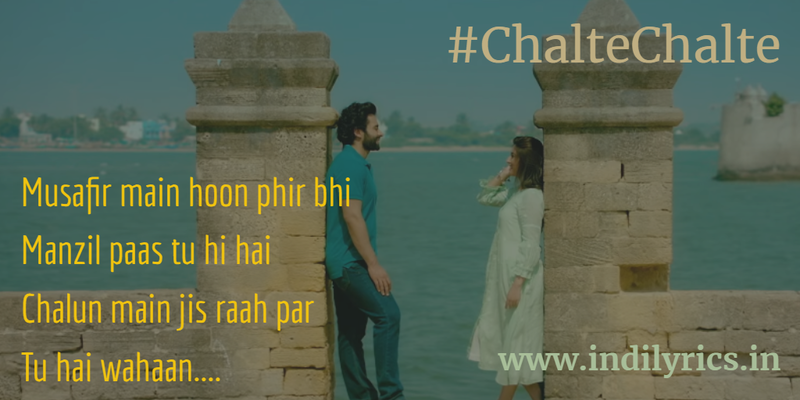 This is a remake song, the original Chalte Chalte was composed by Ghulam Mohammad from Bollywood movie Pakeezah (1972), The new chalte chalte is composed by Tanishk Bagchi as well as he input some new lyrics in the song as well. Atif Aslam with his melodious voice sang this song. The movie Mitron stars Jackky Bhagnani & Kritika Kamra in lead roles. The audio Mp3 Version of Chalte Chalte by Atif Aslam is free to download and stream from Gaana, Wynk Music and various other online music portals, let’s head towards the lyrics analysis now folks, do share your thoughts on the comments. Yeh raahein bataa deti hai..